CIMCO participated with an impressive booth at the China International Industrial Fair in Shanghai (CIIF 2018). Since the launch of CIIF in 1999, it has become one of the most influential international industry brand exhibitions in China. 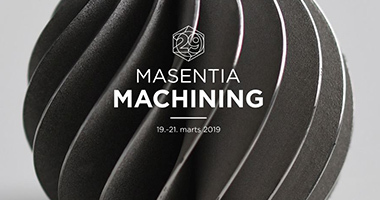 This year marked the 20th session of CIIF and the exhibition broke records for registrations, square feet of exhibit space, exhibiting companies, and booths. 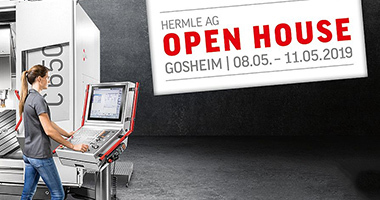 At our booth we showcased our entire suite of software products and had a complete software/hardware solution set up including a DMU 60 CNC machine with a Siemens 828D controller. The setup received great interest and was perfect for providing a realistic and intuitive demonstration of how software and hardware work together. 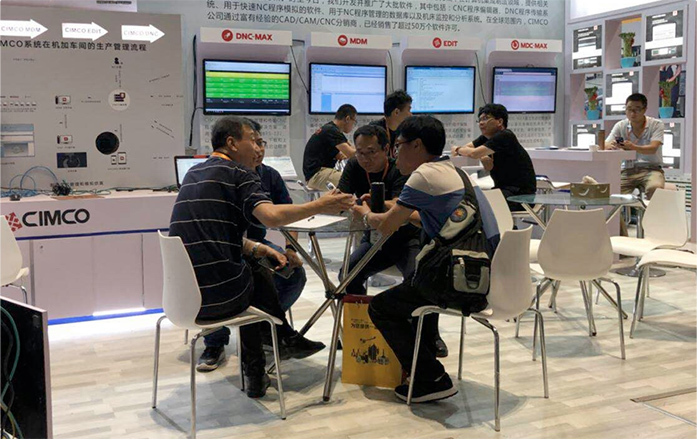 Many visitors also wanted to learn about MDC-Max with PLCs to Cloud – our solution for CNC machine data collection and PLC data connection. The new MDC-Max Web Client for mobile devices also attracted much interest with its easy-to-access features such as Live Screens, Shop Floor Screens and Dashboards. 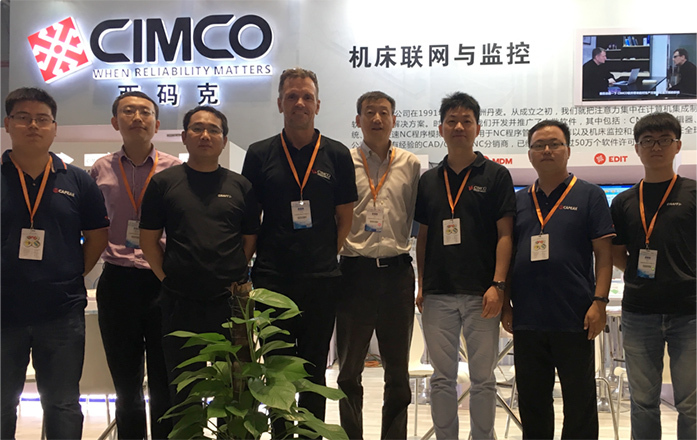 We had a successful exhibition at CIIF and are greatful to our people at CIMCO China (and from CIMCO in Denmark) who did a great job demonstrating and explaining our software products. We also thank the many visitors who came by our booth for their interest and positive feedback. CIIF was a great experience and opportunity to meet all of you in person.